In the short time that I’ve been here, we’ve discovered some new transport options for the Harveys — especially in taking the kids to school. Renee is very relieved that Jemilla is now taking a little bus to her school from Keegan’s kindergarten, so her school-run times have halved. There are two major bus lines that leave from a small bus depot at the end of the Harveys’ apartment building — which is very handy! One is a double-decker, and the other is a smaller 16-seater bus. Similar buses to these lines travel all around Hong Kong — it’s just a matter of working out which route number to take. These green minibuses are called "public light buses" and run a set route all day. They only take as many passengers as they have seats for, and payment is cashless as they're equipped with an Octopus card reader. This bus number 26 is the one that we use to take the kids to school and home again most days. Waiting for the bus home from Tai Po Central. The number 26 buses are scheduled eight minutes apart, so the wait is never very long. 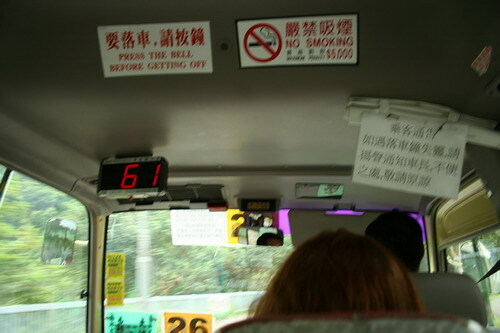 All public light buses within HK have a LED indicator within the van so passengers can monitor the driver's speed. 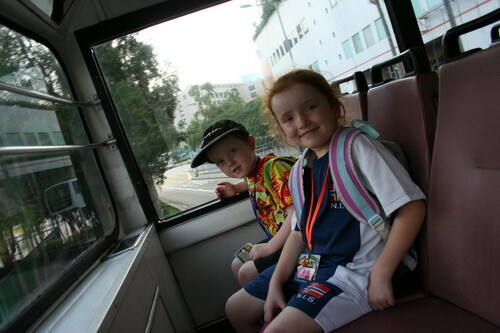 On one run home from school, we tried out the double-decker bus from the train station. I've been playing cricket with a pretend ball with Keegan every afternoon. 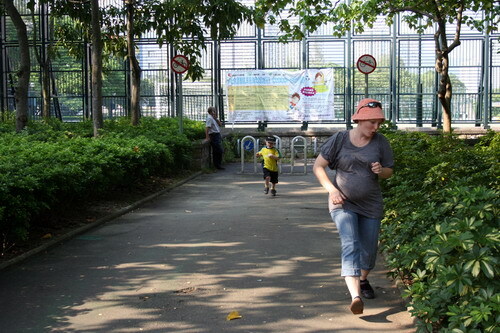 After I collect him from kindergarten, there's usually a fifteen minute wait before Jemilla's bus drops her off, so we move to a short stretch of walkway and "set up the wicket". It's very hard to bowl Keegan out, but whenever I bat, he always manages to catch my ball right away. 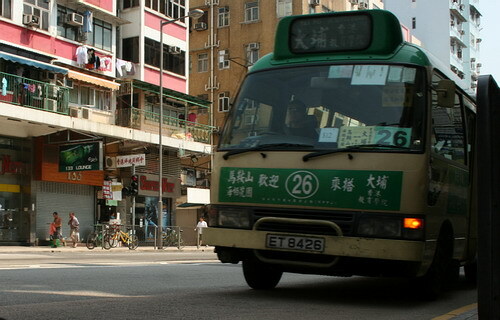 These buses service the Hong Kong Institute of Education, very close to the Harveys' apartment. I think they look like giant pink beetles with antenna reaching out. 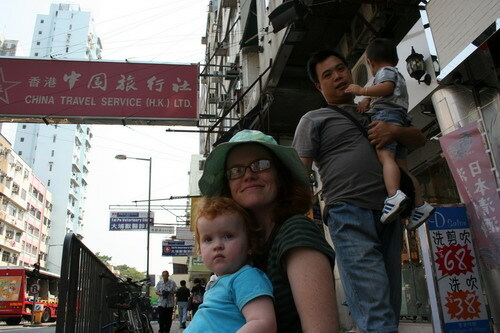 You’ve done an excellent job describing your time in HK – I have loved reading all about it! The cricket game is great! Fancy getting ‘caught’ on your first ball every time!